Home Free Spins No Deposit Secrets of Atlantis Netent slot Premiere full list free spins! 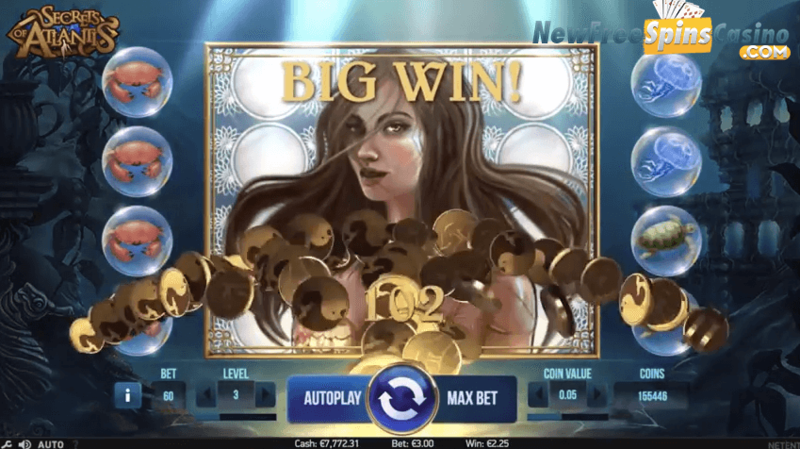 Secrets of Atlantis Netent slot Premiere full list free spins! Secrets of Atlantis is the latest casino slot from NetEnt. You can see a wide range of features offered in this slot and they can help to create your winnings. Nudging wilds : The stacked wilds in this slot are available in the form of Mermaid symbol and this feature can also occur at the activation of Colossal symbols. Highlight featur : You can notice this Highlight symbol on the middle 3 reels of the slot. It is useful for triggering the colossal symbol respin. Colossal Symbol Respin : This feature can convert the middle reels into a giant reel and this contains the enlarged symbols with the mail mermaids. This Slot is having the RTP of 97.1% and so you can get enough play time for this game.